Hi, Good Morning. Thank you, friends and viewers. 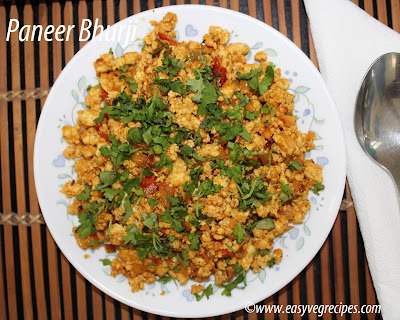 Today I will post how to make Paneer Bhurji Recipe. Paneer bhurji is a very simple and easy North Indian sidedish for roti. I made this long back but culd not post it for some technical reasons. I and my kids like paneer very much. Whenever milk packets accumulate in my refrigerator either I make khova or end up in making paneer and preparing some dish with it. This recipe can be made in just five minutes. Onions and tomatoes are sauted along with spice powders are added and crumbled paneer is combined to made this tasteful dish. We have to make it just before serving otherwise it will become rubbery and hard. It can be served with roti or bread. We can have it as a simple evening snack also. Spread this spicy paneer bhurji on top of dosa and serve it as paneer dosa. That is also very interesting. I already posted how to make paneer at home. We can use store bought paneer also for this dish, but bhurji with home made and fresh paneer tastes awesome. Check for more paneer recipes here. Paneer Bhurji -- Conglomeration of onions, tomatoes and paneer with spices. Crumble paneer and keep it aside. When they start spluttering add ginger garlic paste. Fry it. Add chopped green chillies, onions and tomatoes. Cook till they turn mushy and translucent. Let the tomatoes and onions cook completely. do not add water. Add crumbled paneer and garam masala. Transfer this to a serving bowl and season it with chopped coriander. 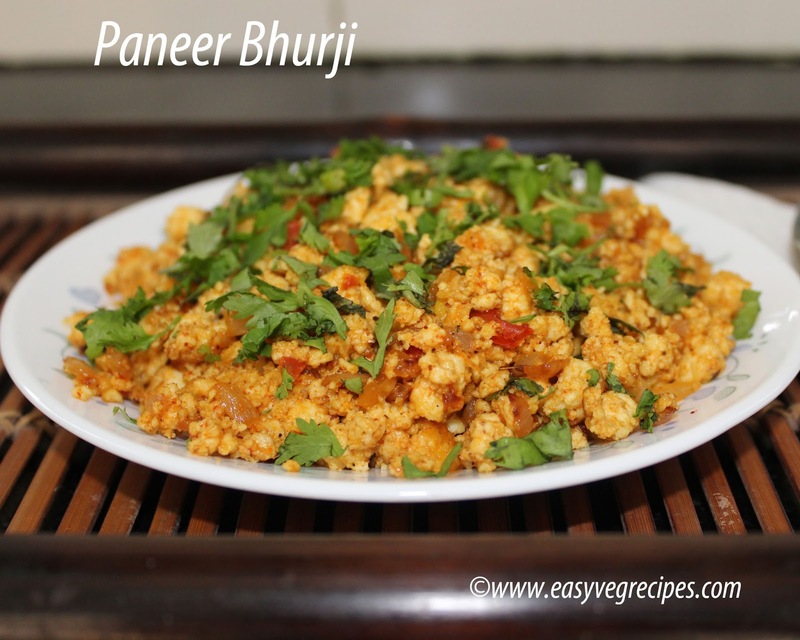 Serve paneer bhurji with rice or roti.